Though most of the internals of a PC are heavily standardized, the case that houses them is one area where manufacturers have room to innovate. 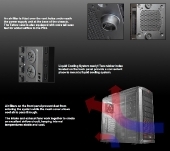 This, combined with the fairly undemanding requirements of the ATX specification, makes computer cases one of the most populous fields in DIY PC hardware. Cubitek, which got its start in OEM parts, has branched out into the consumer space with several cases. 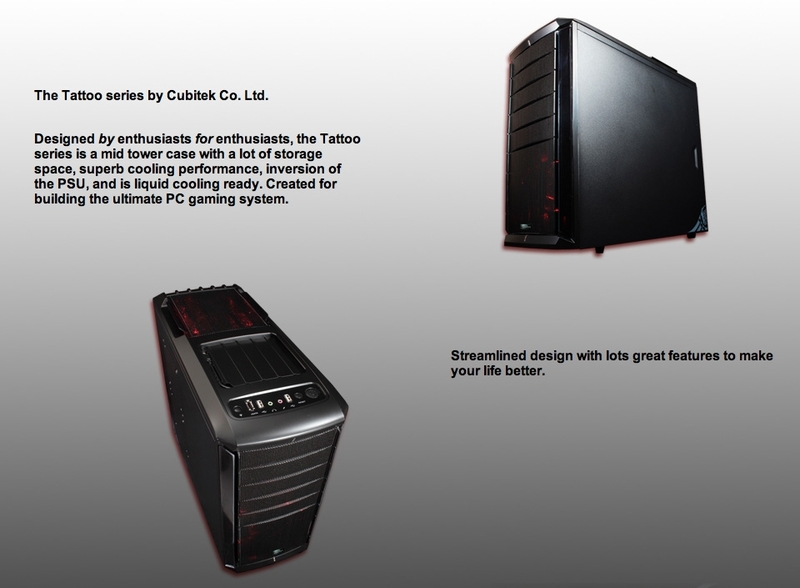 Today we’ll be looking at the Tattoo Pro, which is aimed at the budget enthusiast sector. 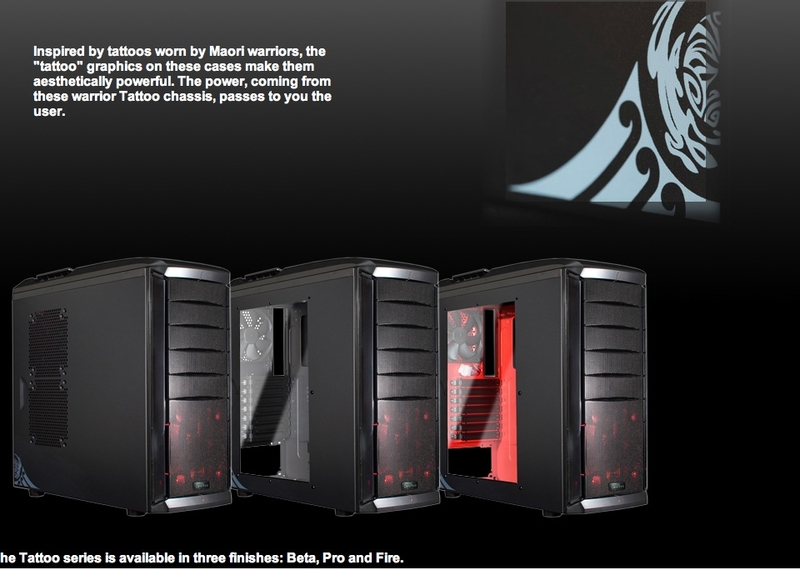 The only statements I can agree with unequivocally are “mid-tower case”, “inversion of the PSU”, and “Inspired by tattoos”. The integrated mini-USB cable is a nice touch. 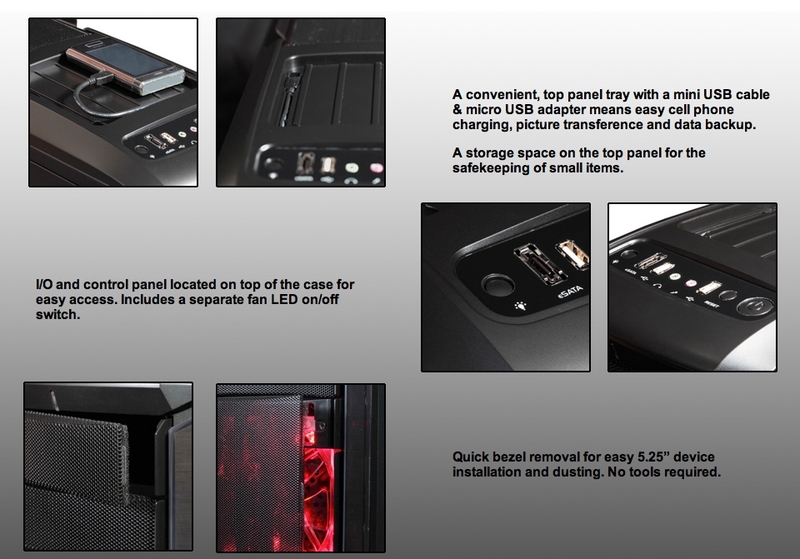 Combined with the recess, it makes for a convenient holding spot for USB hard drives, cell phones, etc. “No tools required” is one of those phrases that always raises warning flags with me; “tool-less” cases are one of those things that are difficult to do right. Tray cutouts are a nice touch, though again they are easy to do wrong. In what has become a fairly common pattern, this case removes the PSU from the general airflow path by mounting it on the bottom with an intake grille on the floor of the case. 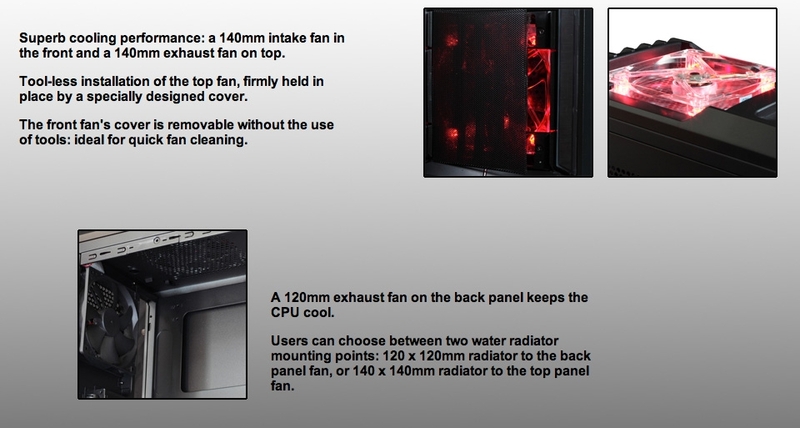 Exhaust fans at top and top-rear make up the difference. 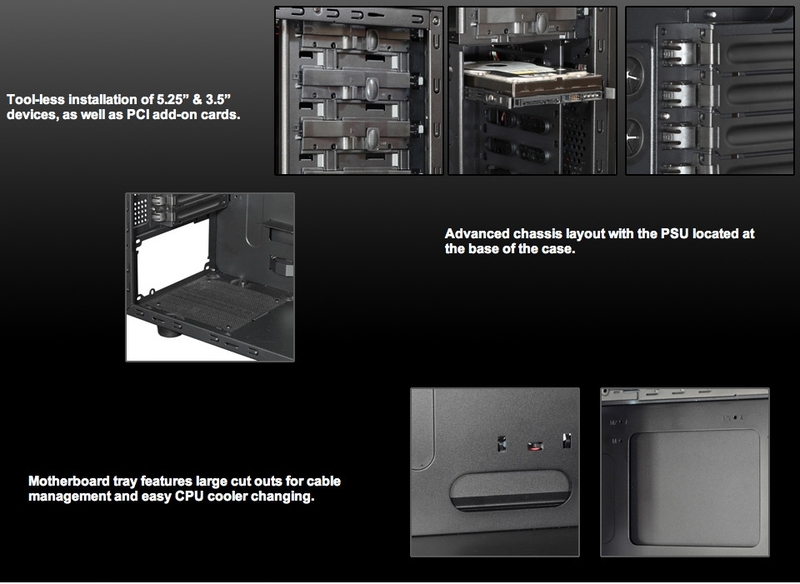 The front and top fans are covered by the same style of metal grille that covers the 5.25″ drive bays.